What a difference a year makes! The Predators entered the post-season last year as the lowest seeded team to make the playoffs. Their seeding barely slowed them down on their way to the Stanley Cup Final for the first time in franchise history. This year, they captured the President’s Trophy and the first overall position, guaranteeing that they will hold home-ice advantage throughout each round of the playoffs. It is the Colorado Avalanche that are facing the daunting task of coming from the lowest seed this year. That alone is good reason for the Predators to not take the team lightly. Led by forward Nathan MacKinnon (39 goals, 58 assists), the Colorado Avalanche are a relatively young team searching for playoff success after failing to qualify for the previous three seasons. Colorado’s resume does include two Stanley Cups in 1996 and 2001, but that was long before any of their current roster arrived. 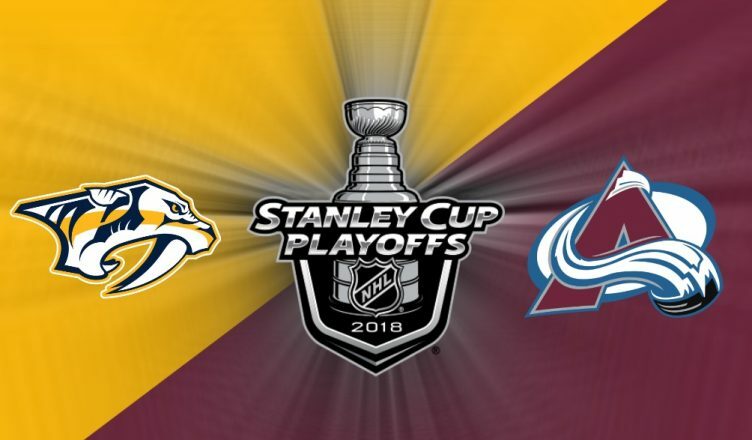 Their final game of the regular season was effectively a play-in game, as either the Avs or the St. Louis Blues were going to face the Preds. We would love to tell you how to get tickets, but if you do not already have them, it’s going to be tough. A word of caution before buying online or on the street corner, though: scammers regularly dupe folks into paying for bogus tickets. You should make sure that you are either buying from someone you already trust or directly from the team. Then again, you might want to nervously pace around your own home for the games, or perhaps you need to give an assist to a bartender that cannot find the correct channel for a game. Either way, these are the channels. The team will host watch parties at Music City Walk of Fame Park directly across the street from the arena for home games. For the away games, fans can watch the game on the video board inside the arena for $15, or $5 for season ticket holders. You can buy those tickets on the team’s website for Game 3 and Game 4. 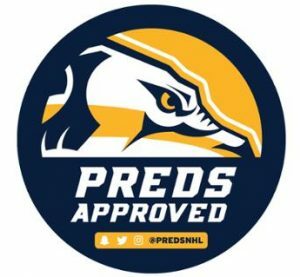 The Predators have also compiled a list of “Preds Approved” venues for the playoffs. These are bars and restaurants that promise to have the game on and to play the audio over the speakers. If you have never watched playoff hockey at a bar, be prepared for spontaneous chants and no, it doesn’t matter that they cannot hear you.